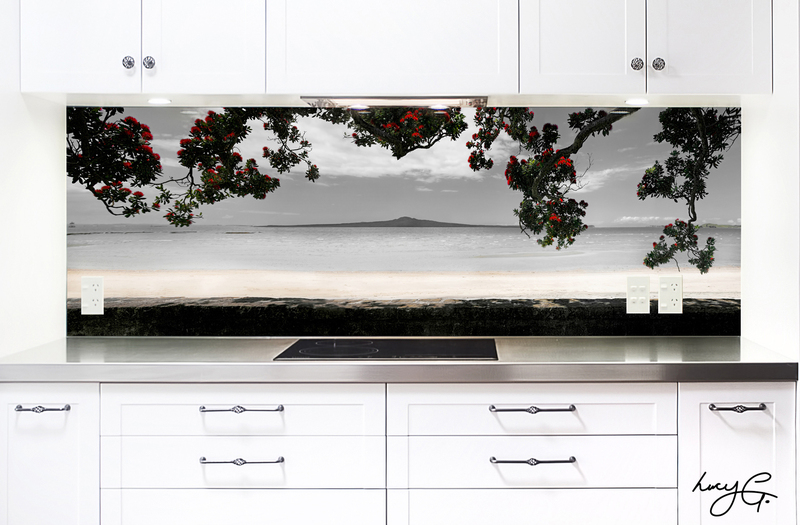 Lucy also specialises in printing her landscape & nature photos onto glass to produce stunning printed image on glass feature kitchen & bathroom splashbacks. 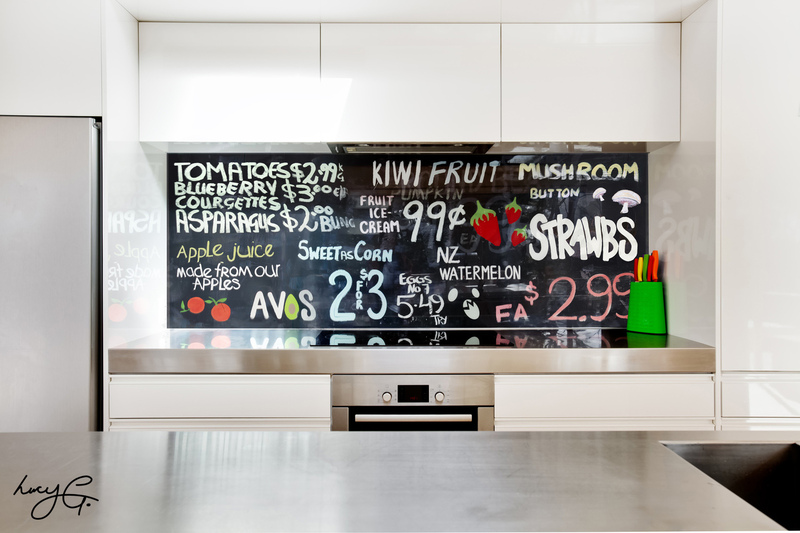 Do you want to create that WOW factor in your kitchen and have a glass surface that couldn't be more durable or hygenic ? For all the information please browse the Lucy G printed image on glass splashback website by clicking this link and please view a few examples of printed kitchen splashbacks below. 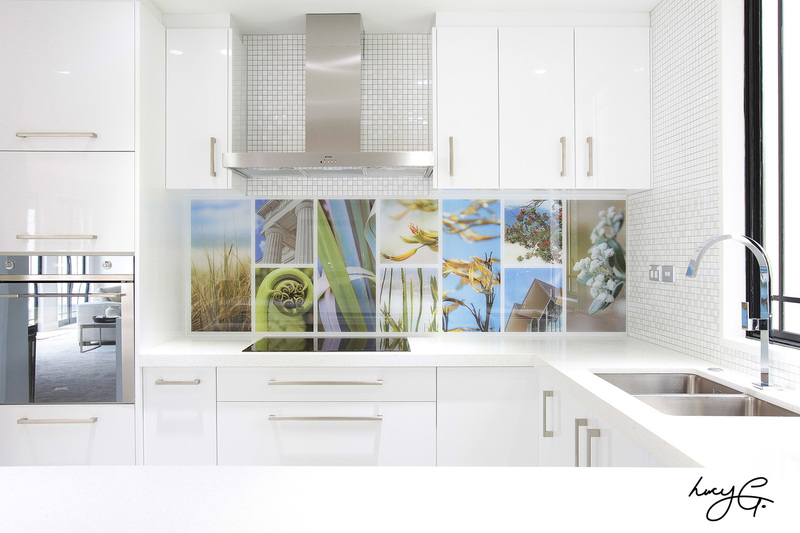 Why choose a printed 'image on glass' splashback by Lucy G ? 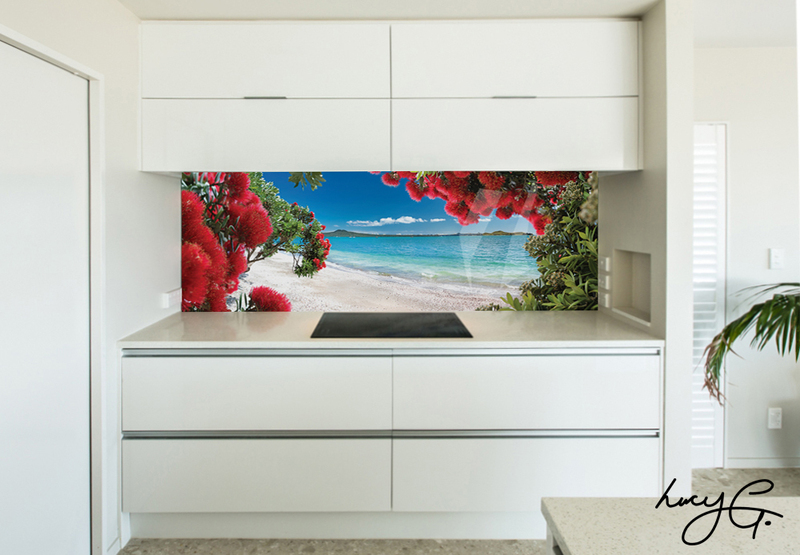 WOW FACTOR - You are installing a stunning & also functional piece of art from widely respected photographic artist Lucy G.
Often the splashbacks are part of a much larger open plan living area and so they are the focal point to the whole area. YOUR 'ONE STOP SHOP' - You don't have to look anywhere else - Lucy can supply the images, take care of any 'custom photoshoots' and graphic design work, arrange printing & glass quotes and site measures and is the main point of contact . This is all to ensure that your splashback is designed & installed with minimal effort on your part. HYGIENE - Glass is one of the most hygenic surfaces around, it's easy to clean and the glossy reflective surface with image makes the colours simply POP ! DURABILITY - Glass is extremely durable and scratch resistant and is safe to place behind open gas elements - the perfect surface for a splashback. DESIGN, COLOUR & INTERIOR VISUALISATION - Lucy has spent the last 10 years working as an architect & interior designer on both residential and commercial jobs & has won many architecture awards, and now has decided to pursue photography full time. Therefore she has had years of experience working with the fundamentals of ‘design’ – composition, colour and detail so can help you with ideas of what will work for you colour scheme. She also understand that it’s often a challenge for customers to ‘visualise’ different design decisions. So to help with this ‘visualisation’ with the printed splashbacks she can superimpose one or several images into a photo of your kitchen or bathroom so you can see how the different options will look (refer below). CUSTOMER SERVICE - Lucy places the highest priority on customer service & clear communication, she is flexible and will work together with YOU to come up with the best solution for your particular tastes, room and colour scheme. When you purchase one of Lucy's photographic artworks for splashback printing you are purchasing a unique artwork that you definitely will not find on Shutterstock or any other stock website and that will create that 'WOW' factor in your kitchen. Lucy shoots multi-level, RAW, high resolution photos with a panoramic tripod head and stitches them together to create 'Gigapans' - huge, detailed, high resolution panoramic photos that are often 5-6 gigabites. When printed at large scale this level of detail really stands out whether you are viewing a landscape panorama or one of Lucy's new digital paintings where you can see every brushstroke. Lucy is a professional NZIPP photographer and she uses Canon professional lenses and the latest Canon 5DS-R camera and by purchasing the image license for one of her artworks you are making a decision to purchase the best quality image for your splashback which is the most important decision when you are installing a printed splashback which creates the focal point to your kitchen. There is no comparison between the resolution of a single image that is cropped and printed at large format compared to a gigpan printed at large format. With her experience as an interior designer she can also guide you as to the best image to suit your kitchen and can superimpose different options in your kitchen photos for visualisation.